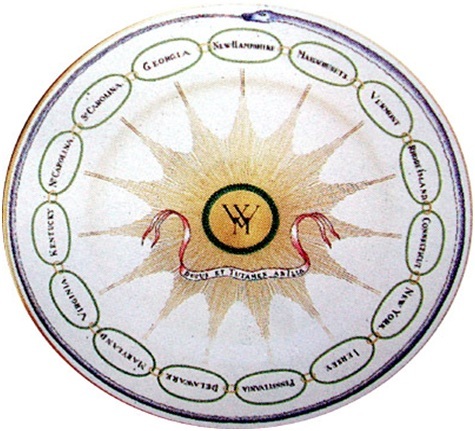 "States" china with Martha Washington's initials in the center. This china was a gift from the East India Trading Company. 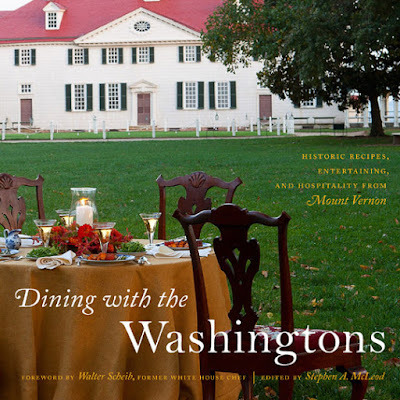 As I stated in the Lucindaville Abecedary, Dining With The Washingtons is a glorious book. It may look like a stuffy old academic tome from the Mount Vernon Ladies’ Association, but it is a breath of fresh air when you open the covers. 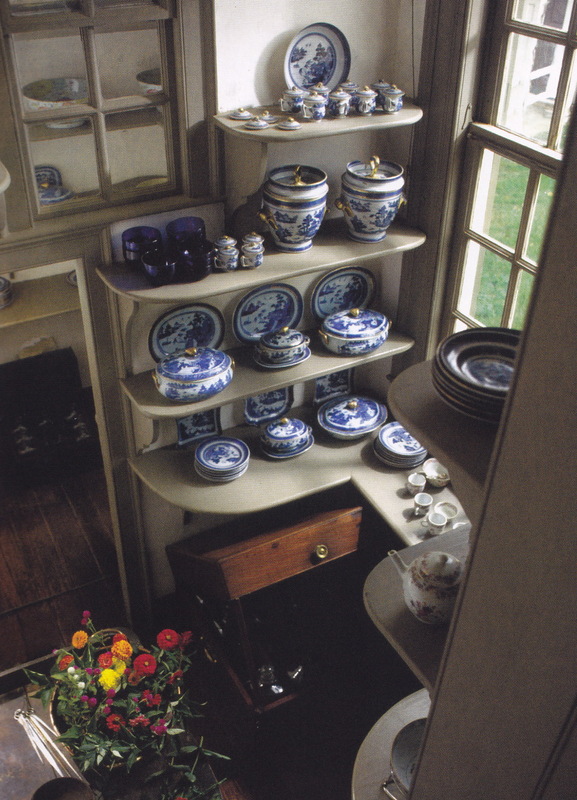 Yes, it is a well researched scholarly book about George and Martha Washington, but the focus is about an area often overlooked in most histories – it is about the kitchen – or more specifically, how the kitchen impacts the dining room. This interdisciplinary study starts in the kitchen and uses this space to view everything around it. It begins with the house as a focal point for entertaining such as, who came and why. George Washington’s life of public service made him a distinguished guest and those traveling through Virginia became his guests. 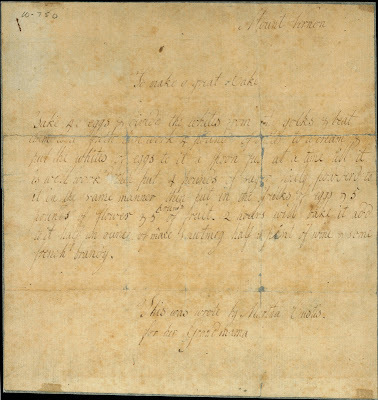 Mount Vernon became one of the first private homes to offer its guests ice cream. In 1784 a “Cream Machine for Ice” was purchased in England for the sum of 1.13.3 pounds. It must have been a hit as three years later and expenditure of $7 was noted for another ice cream maker and the next year a full five shillings for ice cream spoons. Seriously, who wants to eat ice cream with plain soup spoon? There is section on how everyday meals would have been prepared. While not incorporating the same pomp and circumstance of “state” dinners, the meal preparation was executed with military precision. The household staff, consisting of Washington’s slaves, began work before sunrise and ended late in the evening. 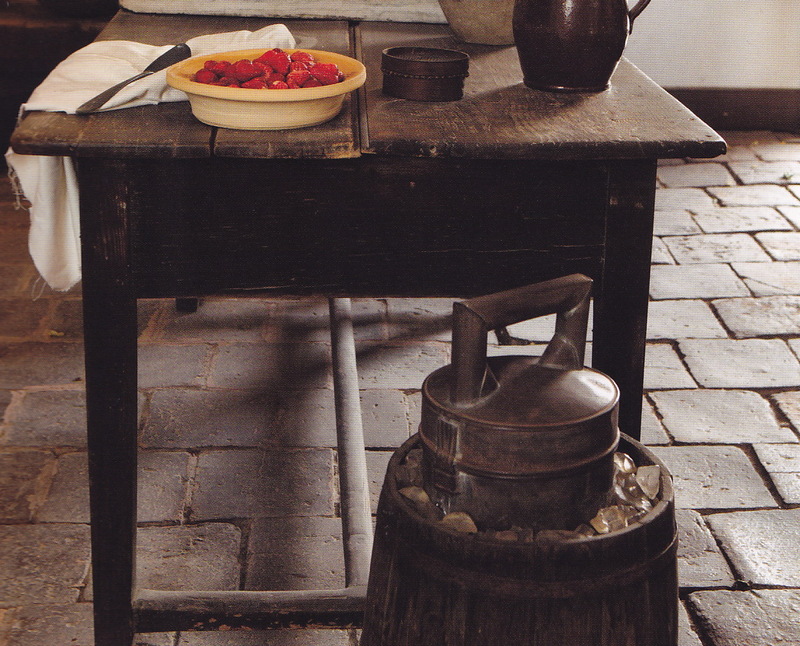 A diary of the cook’s day from the 1790’s tells us that the cook, Lucy, along with her husband, Frank Lee, the butler would rise at 4 a. m. to begin work. 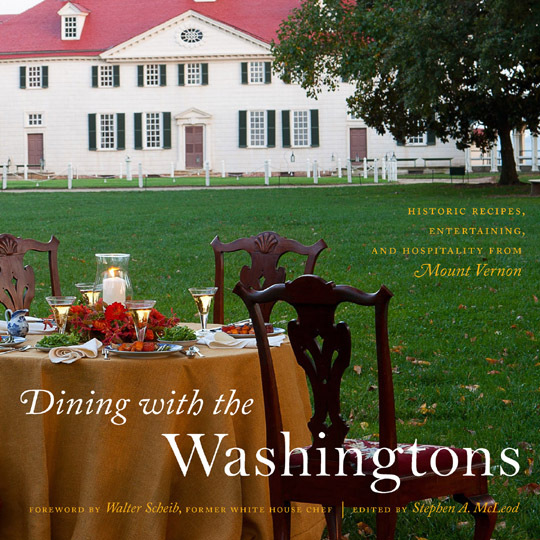 A normal workday for Lucy would end with cleaning the kitchen at 8 p. m. When company was expected, the day would run much longer as Washington generally served his guests at 9 p.m.
No book on dining would be complete without recipes. Noted food historian Nancy Carter Crump assembled a lovely collections of recipes that would have graced the tables of the Washington and translated them into a usable collection for today’s kitchens. 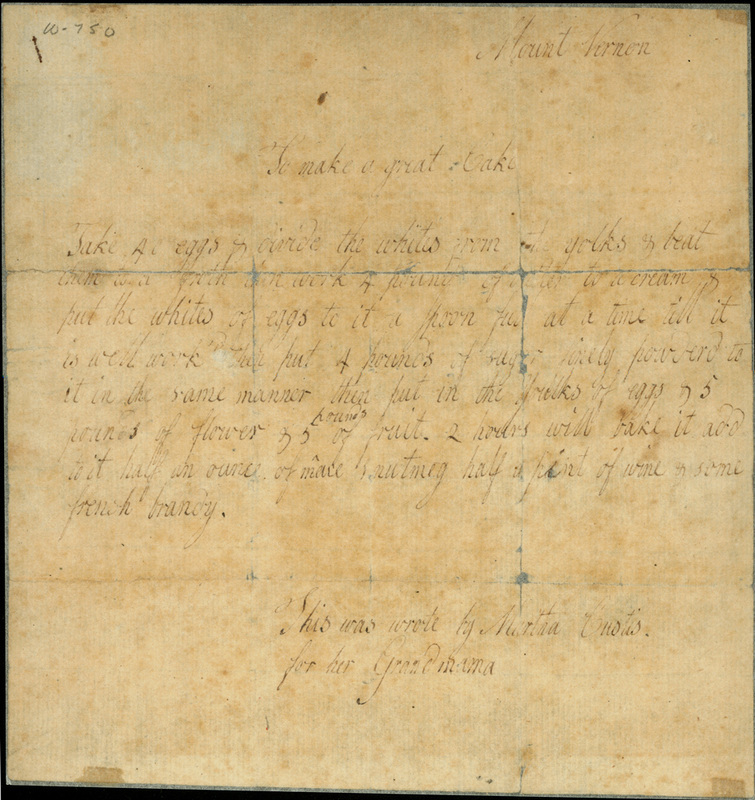 For historical sake, here is one of Martha Washington’s actual recipes for you to try. Take 40 eggs divide the whites from the yolks & beat them to a froth then work four pounds of butter to a cream & put the whites of the eggs to it a Spoon full at a time till it is well work’d then put 4 pounds of sugar finely powdered to it in the same manners then put it in the Youlks of eggs & 5 pounds of flower & 5 pounds of fruit. 2 hours will bake it add to it half an ounce of mace & nutmeg half a pint of wine and some frensh brandy. Even if you could care less about history, this is one culinary romp you will want on your shelf. 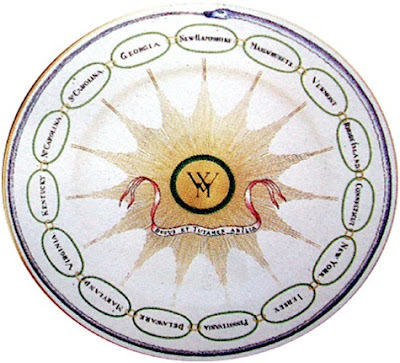 The food of that epoch was amazing! did ever taste it before!